Home » Our Doctors » Douglas Clark, O.D. 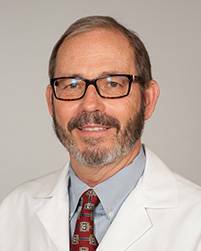 Eye Doctor Douglas Clark graduated from Indiana University School of Optometry in 1976, and went on to become an instructor of optometry at Southern College from 1976 to 1979. He then moved to Austin in 1979 and became a full time partner with Troy Taylor, Fred Watson, and John Knowles at TSO Capital Plaza in 1981. Watson and Taylor retired in 1987, and John Knowles retired in 2007, leaving the proprietorship solely to Dr. Clark. In 2000, he became an Optometric Glaucoma Specialist. He enjoys spending his time off with his wife Gayle, and their two children Travis and Diana. Water and snow skiing are among his favorite.